Yuvraj Singh got engaged to model-turned-actress Hazel Keech in Bali in late 2015 and the couple is planning to ring the wedding bells in December 2016. While everyone around is happy that these two lovebirds have decided to take the plunge, we try to go a little deep into the love story and how it blossomed! Hazel Keech, whose birth name is Rose Dawn, is a British-Mauritian model born on 28th Feburary, 1987 to a Mauritian Hindu Mother and a British father in Essex, England. She pursued her schooling from Bean High School in Redbridge, London. From a very early age her inclination towards dance and theatre was evident. At the age of 3, she performed her first stage show. Besides being actively involved in stage shows she also learned different dance forms that included western contemporary and Indian classical. At the age of 18, while one a visit to India, she got her first modeling offer. That was what persuaded her to make Mumbai her home. She began her career as a model and thereafter actor. She shot for her first music video “Kahin Pe Nigahen” and featured in couple of advertisements including Vivel by ITC, Carving Dreams, Maruti Suzuki and Sprite “University of Freshology”. She made her debut in movies in 2007 with a Tamil movie titled “Billa”, where she did an item song. She also did another item number “Aa Ante Amlapuram” in the movie “Maximum”, which became a popular number. She also gave a special appearance in a Telugu and Punjabi film in 2012 and 2014 respectively. She was one of the contestants in Bigg Boss Season 7, hosted by Salman Khan in September 2013, but her stay in the Bigg Boss House was too short lived. She was one of the contestants who were nominated in the first week and was evicted within a week. After eviction when she was quizzed about her short stay in the house she described Pratyusha Baneerjee as “the trouble maker who likes to create problems, a negative character but has a big fan following”. She was then seen in Jhalak Dikhala Jaa 9 as a partner to one of the contestants in 2013 but was subsequently voted out. 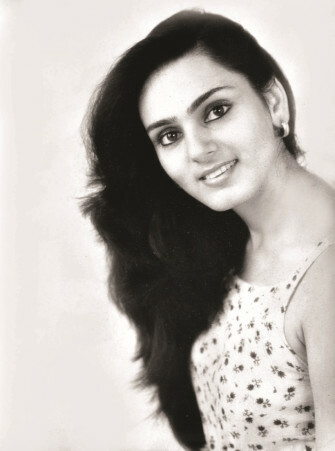 She became the cover girl for “Stuff India” magazine the same year. Next she made an appearance as a comedian in ‘Comedy Circus’. Besides this, she was also seen dancing in Agatha Christie’s Marple, a British programme. Call The Shots, a documentary show by BBC, showcased her work in Hindi cinema. She had been a part of Bombay Dreams, a Bollywood musical team for their promotional tour in 2002. The following year she sang in the choir of Joseph and The Amazing Technicolor, Dreamcoat. She was cast in Harry Potter series, 2, 3 and 4 as an extra artist. The black-eyed diva is socially quite active. Her facebook page @HazelKeechFanpage has is liked by 255,729 fans and she has 35.2K followers on @hazelkeech , her twitter handle. On one of her facebook pages, she had revealed her love for travelling. She stated that she loves exploring new places and their food. She loves Mauritian cuisine. She enjoys swimming, yoga and listening to music besides travelling. 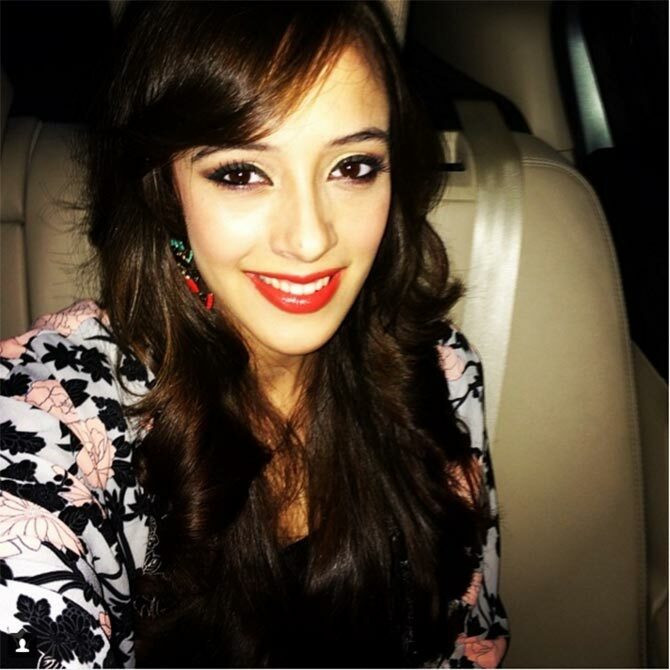 The moment the papprazi came to know that Hazel Keech was spotted by Salman Khan in London and recommended her for a role in ‘Bodyguard’, the news of Salman Khan and Hazel Keech link up started doing rounds on the internet. Hazel Keech was rumored to be the new lady love in actor Salman Khan’s life while she was shooting for Bodyguard. That was the time when Katrina Kaif had walked out of Bhaijan’s life and Hazel Keech was being rumoured as the new member of the Khan family. However, she rubbished off all rumors by clearly stating that Salman was nothing more than her mentor for the movie. Yuvraj Singh has been the favorite of shutterbugs not just because of his performance on field but also because he has been providing constant masala with his link ups. Yuvraj’s first girlfriend was Kim Sharma whom he dated for almost four years. He has also been linked up with actresses Deepika Padukone, Riya Sen, Preeti Jhangiani, Neha Dhupia and Minisha Lamba. He was also rumored to be dating Preity Zinta, the owner of IPL franchise, Kings XI Punjab when he was its captain. Their growing closeness was considered as the reason for Preity’s breakup with his then beau, Ness Wadia who was also her business partner. However, both Preity and Yuvraj refuted these rumours. 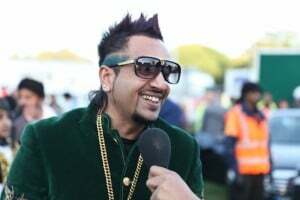 His name was also linked with Anchal Kumar, with whom he had attended several IPL parties but he claimed that she was nothing more than a childhood friend. Yuvraj was also spotted with Anusha Dandekar at various events and also attended a party hosted by Salman Khan with her. However, he refrained on commenting on it. Amongst all this, On November 12, 2015 Yuvraj Singh’s female fans got the blow of their life when they woke up to the news of him being engaged to actress Hazel Keech. The news spread like wild fire. While the country was busy celebrating Diwali on 11th November 2015, Yuvraj and Hazel secretly exchanged rings in Bali in attendance of close family members and friends. On 15th November 2015, Yuvi himself confirmed the news on his twitter account when he wrote “Yes I am engaged cause i found a friend for life in @hazelkeech as mom says a reflection of her”. Hazel followed suit and wrote on her twitter handle that, Yes, its true, im getting married to @YUVSTRONG12 Im so thankful to have found such an amazing person #shazam”. It was just like any other modern fairytale that everyone dreams off. The Indian all-rounder befriended Hazel on Facebook and Instagram. If sources are to be believed, whenever Yuvi tried to meet her, she would agree but on the day when they were scheduled to meet she would switch off her phone. It was approximately after a year that he was able to meet Hazel in person through a common friend. Phew! Lots of endurance! But that was not the end. Yuvi, the real fighter that he is, worked really hard to impress her lady love to convince her for becoming his soul mate. Sources reveal that Hazel took almost three years for accepting his wedding proposal. Nevertheless, his efforts finally paid off when he proposed Hazel on a romantic dinner in Bali and surprised her. That was where they exchanged rings in 2015. Yuvraj’s mother Shabnam revealed that they both had spent hours choosing the stunning solitaire that Hazel now flaunts with pride as the mark of their new beginning. Recently, the adorable couple did their pre-wedding shoot and in a candid interview they revealed that Angad Bedi, Yuvi’s best friend has self appointed him as his best man and the bridesmaid are going to be Hazel’s sister Tina and best friends Insia Lacewala and Bruna Abdullah. There is a lot of buzz about their wedding date and Yuvi’s mother has now spilled the beans that they will walk down the aisle in first week of December 2016, though the wedding date is yet not clinched. It is also being said that the wedding nuptials will take place in the Capital as well as in UP. There is no news of any function being held in Mumbai. As far as the ceremonies are concerned, they plan to have an unvoiced Hindu and Sikh wedding which would be followed by a grandiose sangeet and a swanky reception. For all those who have been presuming the honeymoon destination of the couple, here is what to expect. Hazel’s wish is to go to Hawaii for their honeymoon whereas Yuvraj wants to choose Bora Bora or Maldives. Although, they all are perfect honeymoon destinations yet only time will tell if the lady will have her way or will Yuvi be able to convince her. Wink. Since the time they officially announced their love, the couple has been making appearances together. The couple has lately done a pre-wedding shoot for Harpers Bazaar Bride. A little while back Hazel was spotted with her beau at the screening of the movie, PINK. They also appeared on ‘The Kapil Sharma Show’, which was aired on 24th September, 2016. Yuvraj has been on Kapil’s show once, but this is the first time Hazel and Yuvi appeared together on screen. They talked about their relationship, wedding plans, their likes and dislikes about each other and much more. Here Are 10 Lesser Known Facts About Kapil Sharma That May Surprise You! Hazel Clueless About Cricket: On Kapil’s show when Hazel was questioned about the team against which Yuvi had hit six 6s, she was all clueless. Yuvraj in turn remarked that he has stopped discussing cricket with her thereafter. The cricketer talked about the persistent attempts that he made to win Hazel’s heart and how she gifted him with the most precious gift of his life by saying “Yes”. They also revealed that Hazel’s family and she herself was clueless of all the laurels and aura of the cricketer. These facets truly unveil that they are made for each other. We wish the couple all the very best for a blissful life ahead! 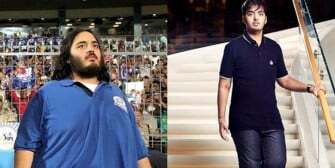 Anant Ambani Weight Loss: The Secret Diet & Workout Behind Anant Ambani's Stunning Weight Loss!